NEW YORK - Have you missed the highlights of the first day of New York Fashion Week? Fashion Studio Magazine brings you backstage photos from the colourful Desigual show. Enjoy! "Patchwork continues to be one of the key points of Desigual's Autumn/Winter 16 collection. It has undergone significant changes: innovation comes in to play with different mixes of fabric like lace and lurex. All garments are designed by hand to emphasize the handcrafted feel and boho chic codes are reinterpreted as vintage botanical drawings and mixes. To read more about the inspiration for the Fall/Winter 2016 collection, click here. 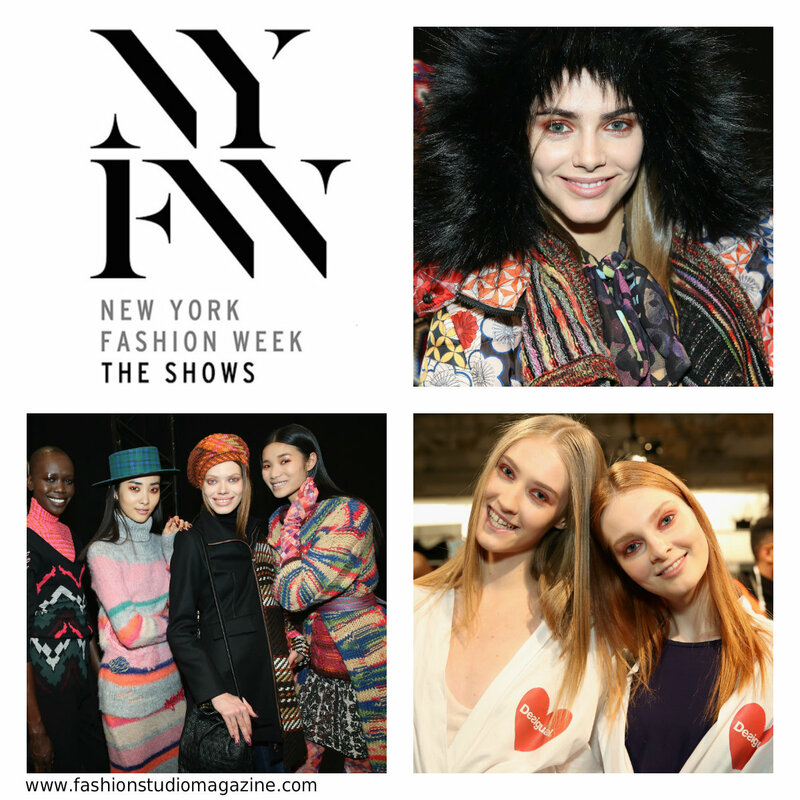 Are you in NYC for New York Fashion Week? Don't miss The Museum at FIT's exhibitions, Fairy Tale Fashion and Denim: Fashion's Frontier!